Laura has been training dogs for 14 years. She has put AKC obedience titles on various breeds of dogs as well as helping people with their dogs behavior problems to make them a more enjoyable pet. Laura and her husband Ritchie own and operate Walnut Ridge Farm a boarding and training kennel. They also breed German bred German Shepherds and Doberman Pinchers. Having only a couple select litters a year. 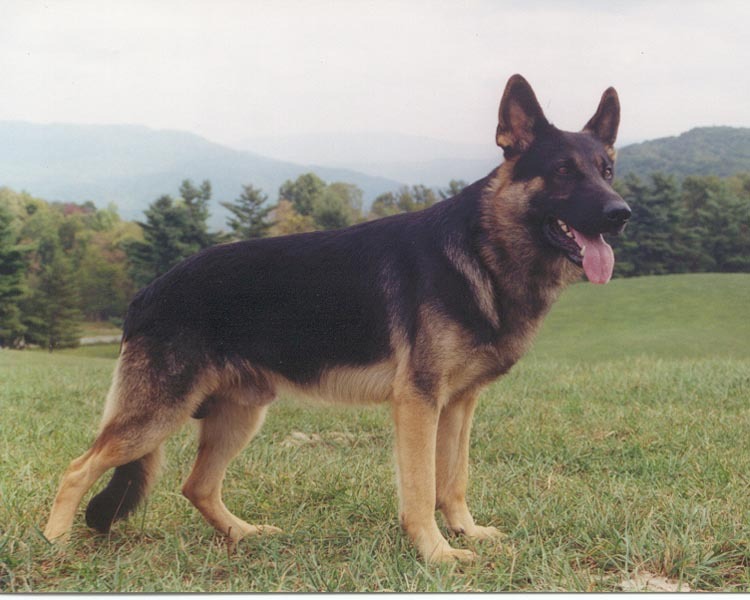 Their main GSD stud, Drago, has all three of his AKC obedience titles. Drago was able to get his CD and CDX in straight shows, he started training for his UD in March of 1999 and had completed his UD title in September of 1999. He is amazingly smart and they hope to get his SCH 1 on him in the spring. Laura and Ritchie also take their dogs to nursing homes and hospitals, they own a few registered therapy dogs. Please check their web site out to learn more about them.